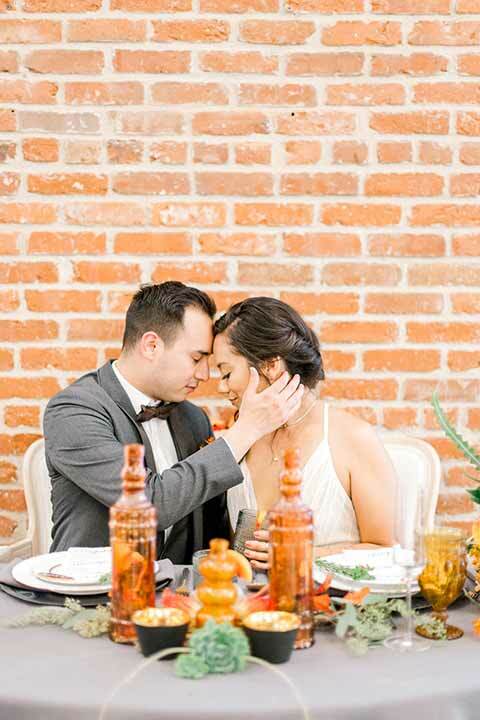 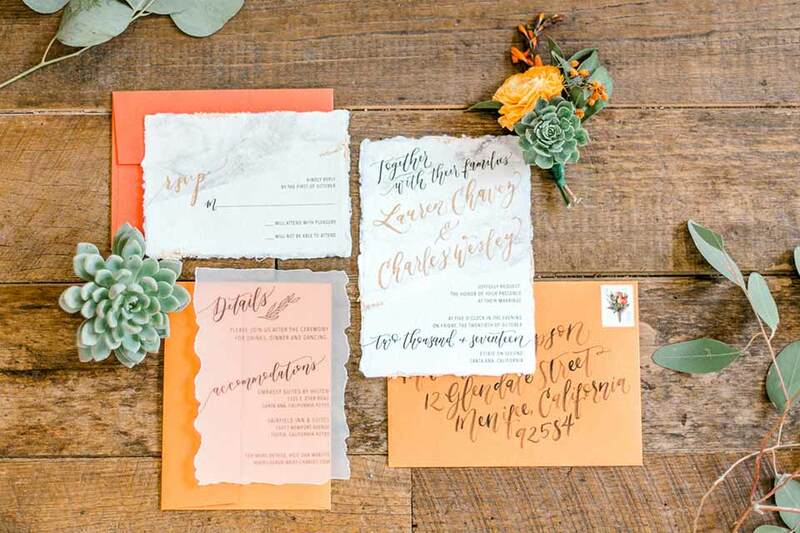 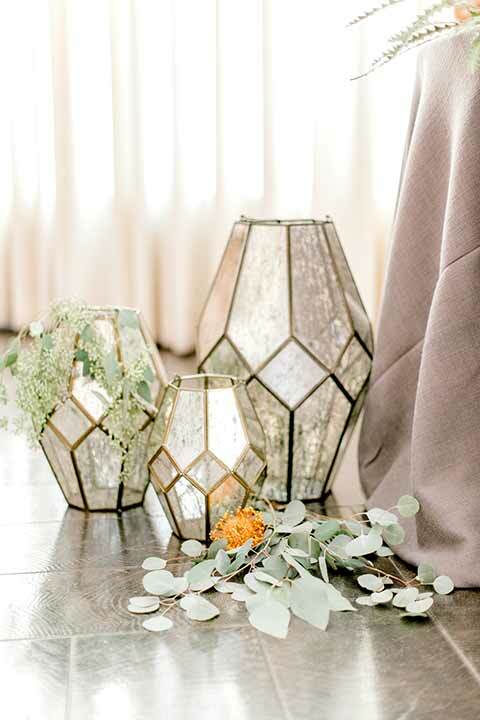 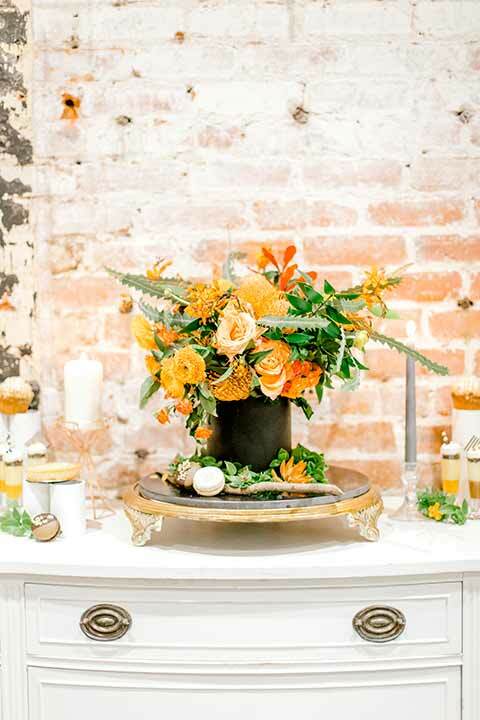 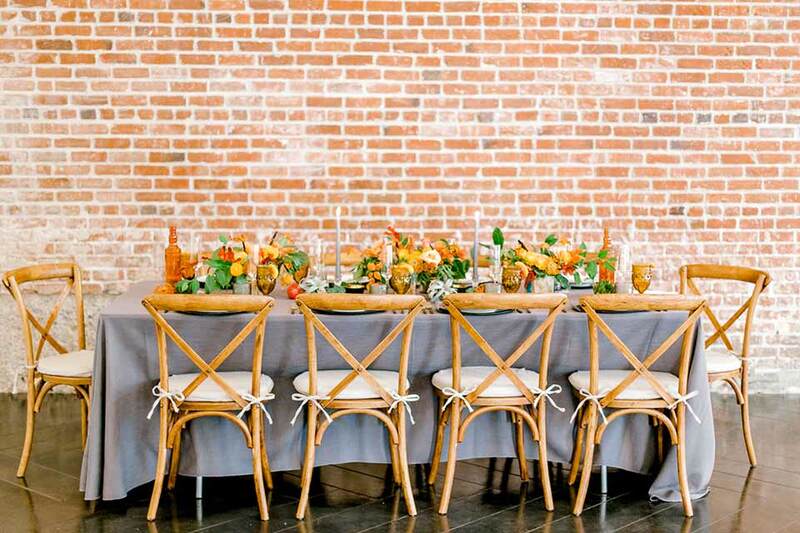 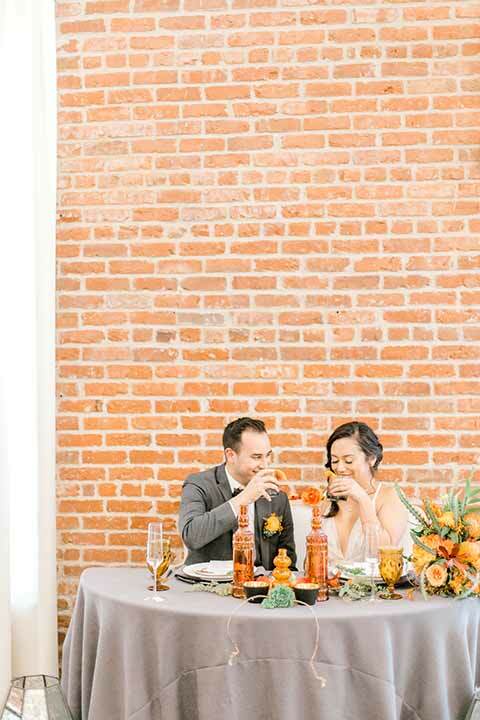 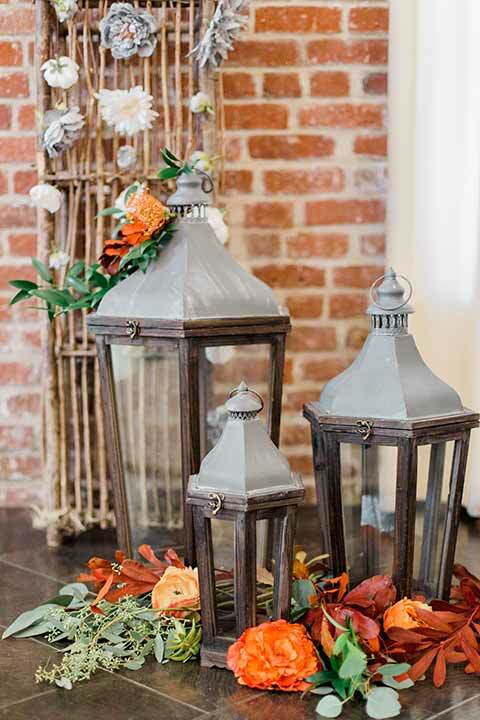 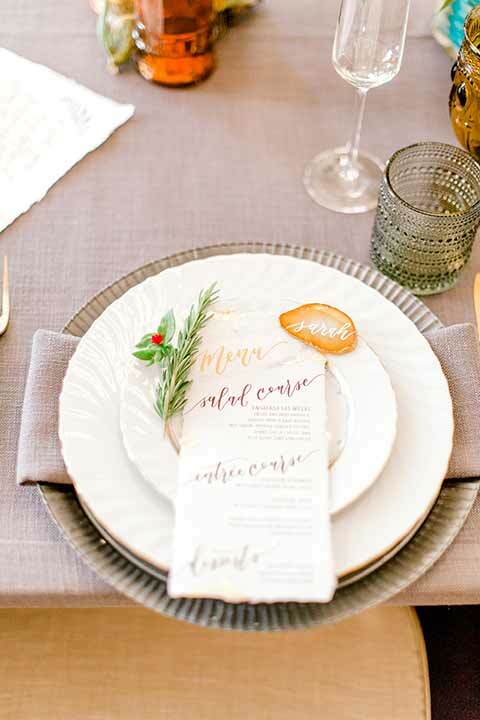 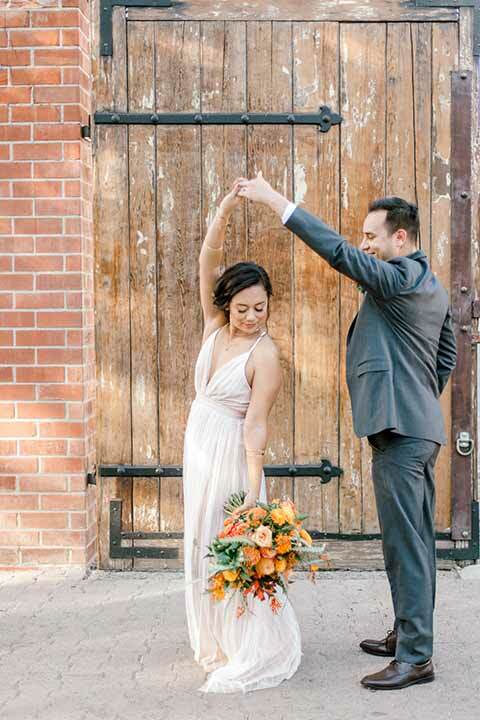 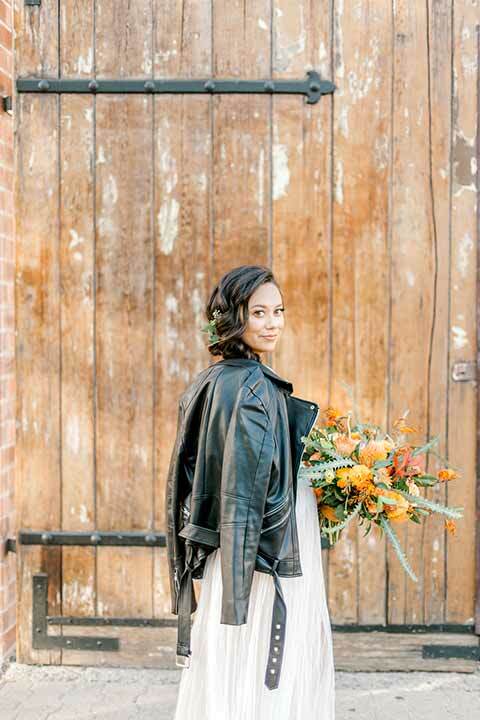 These elegant earth toned wedding ideas are EVERYTHING. 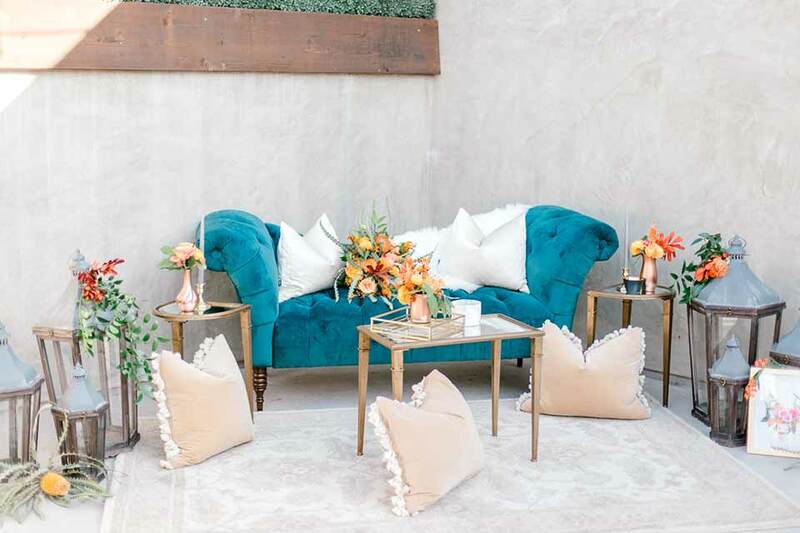 Drawing inspiration from the venue, vegetation, and the earth itself, Events by the Cea wanted to convey both warmth and intimacy with their design, and the result was gorgeous. 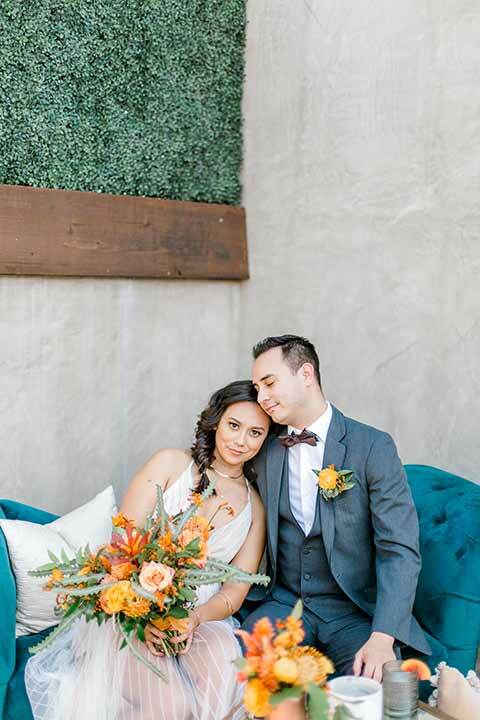 Varying tones of orange and greenery combined with distressed wood elements, agate, and marble created a stunning wedding look, blending elegance with nature perfectly. 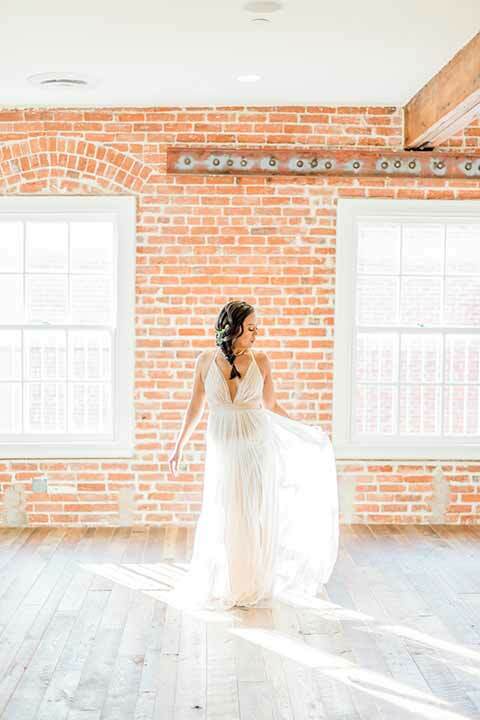 We can’t wait for you see all of the beauty that Harper & Grace Photography captured! 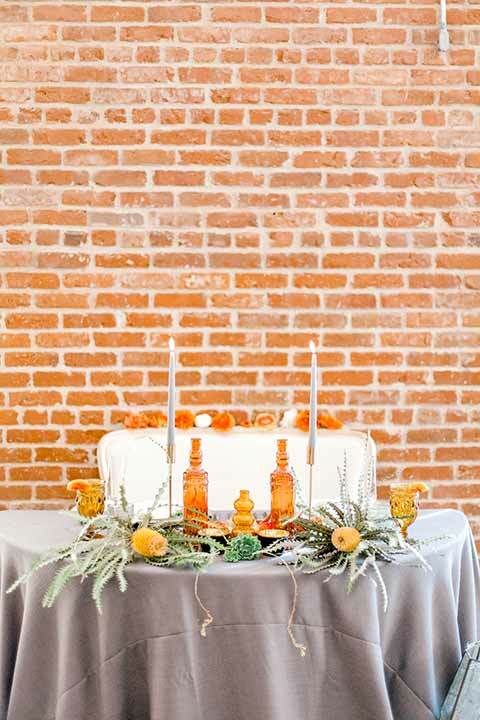 Industrial style has been a popular trend lately for venues, decor and overall wedding design because it can add a historical feel to the event but it can also go in a modern direction. 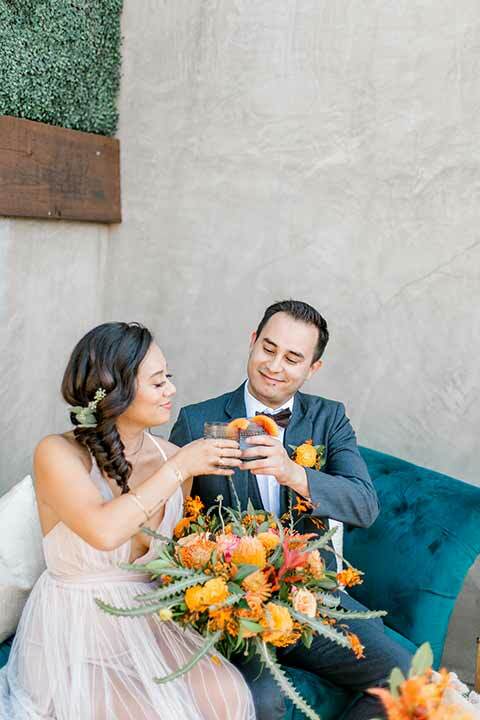 This particular wedding design included a lot of natural elements like wood, a variety of greenery and flowers as well as metal accents. 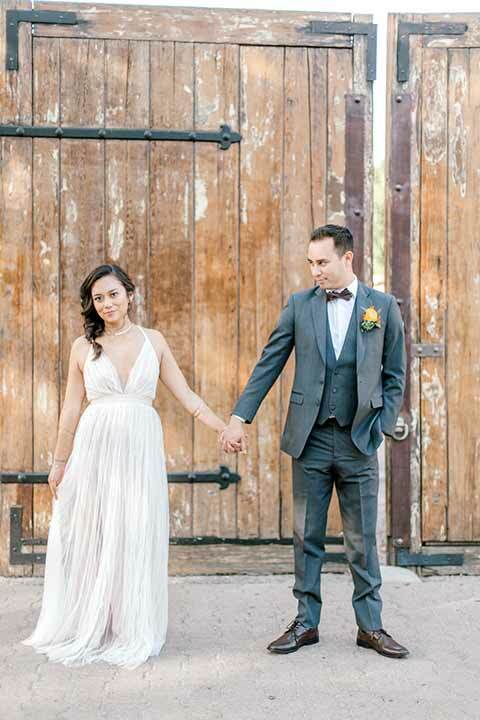 A charcoal grey suit for the groom worked well to fit the color scheme and next to the bride's flowing gown. 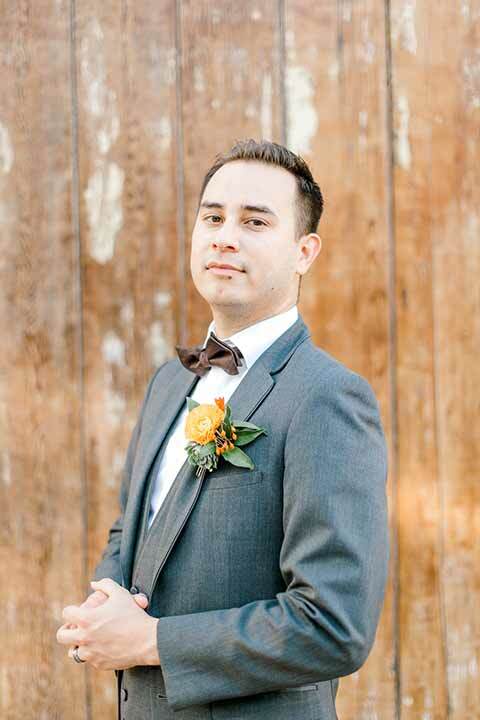 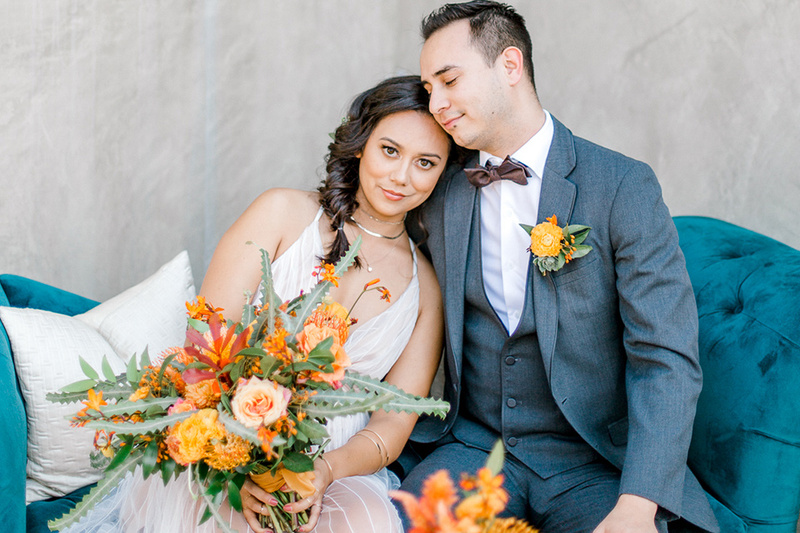 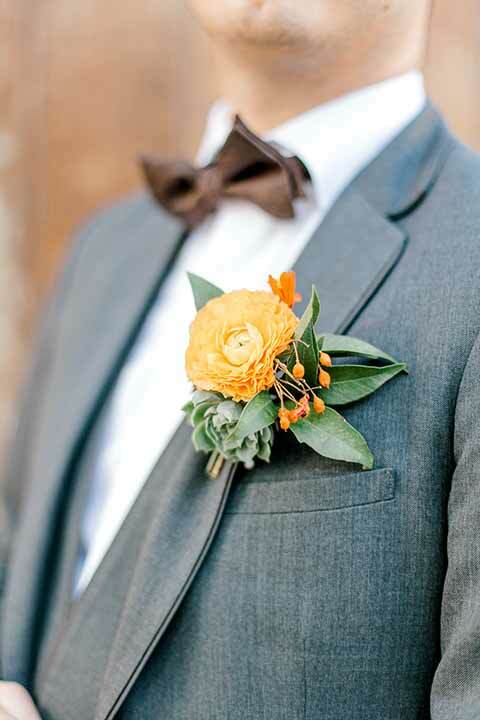 The groom paired a brown bow tie with his dark grey suit and yellow floral boutonniere to tie into the natural inspiration. 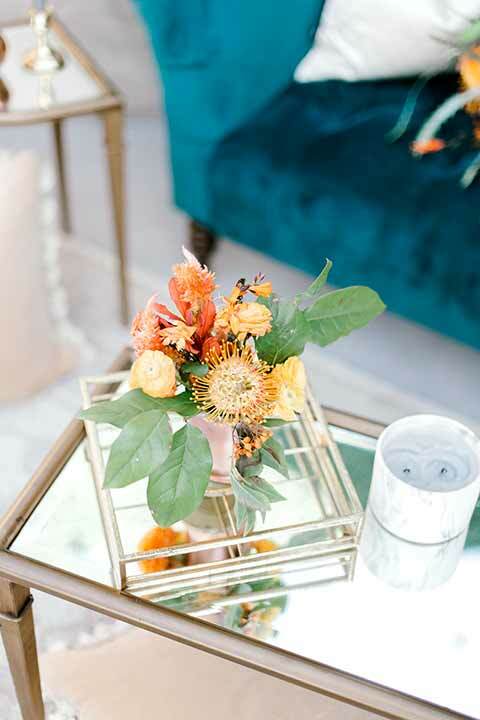 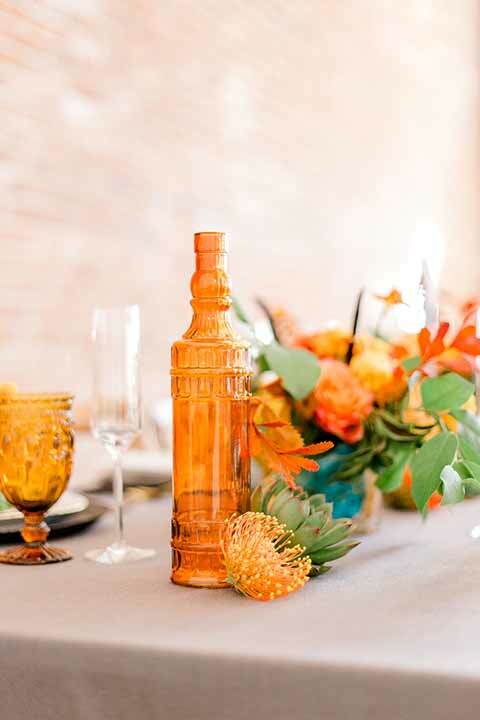 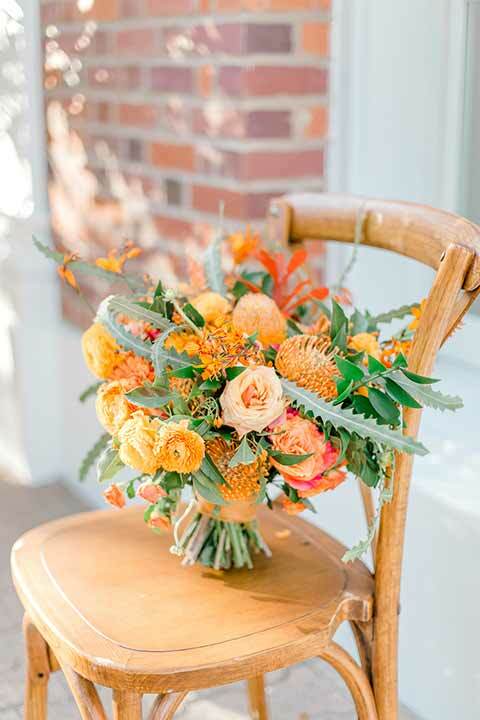 The mixture of yellow flowers and teal furniture is unexpected and makes the wedding design memorable, so take a cue from this design and create a unique wedding design of your own!